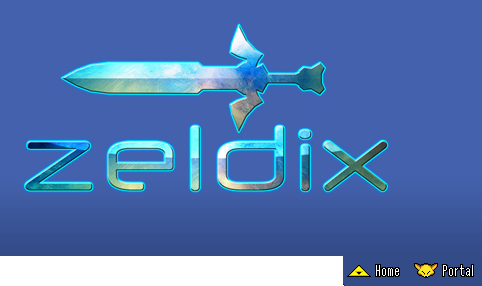 Today (on the best april fools day ever) a special forum has been opened to public, Zeldix, equal to SMW central (only this time it is A link to the past that's being modified). Regarding the future beta testing phase of Parallel Universes, it’ll be required to register an account there since I’ll create private sub forums when the times comes! Oh yeah, almost forgot, here’s the address! I’m pretty sure that’s the best April Fools you’ll ever get! Nice. Hopefully the text encryption in the GBA port is figured out someday..
Why? Is there encrypted text in the GBA version of worth? The GBA version has additional content (moves, dungeons) and a different engine. Besides a palette hack to make it more darker, it's the definitive version. So, my decrypting the text we'll be able to decompile the source for the additional content? Or just use the GBA version as a basis, for change. And the diving could be exploited more than it was ever in the GBA version. In fact I'm interested in doing a translation of the GBA one but I'm stumped by the compression used. The SNES version has superior resolution/potential capabilities then the GBA version. Everything you said was better about the GBA can be added to the SNES with a little ASM'ing and when I say "potential capabilities" The SNES can make use of expansion chips (Super-FX, SA-1, DSP-1, etc...) There is a guy over at SMW Central that greatly enhanced the Super Mario World game engine by moving some code to the SA-1 chip for example. It is to be noted, that we are modifying the SNES VERSION of the game. NOT GBA. The latter has a totaly different engine and console. The forum is now freely accesible without registering. Using the GBA version? Are you high? That's like deciding to make a Doom level editor that edits the SNES ROM. PS: Zeldix. Most unfortunate name ever, or best name ever? Whats wrong with the GBA version? You can use it to extract the script (GBA version is MULTI5) and use it in the SNES version to translate the game. So would the same dialogs in both versions. Just what I was thinking. A link to the past is a SNES game. Every study of A link to the past was done for the SNES version (obviously). Original authors simply traversed this game onto the GBA, to also make it available there. But essentially the GBA version is a poor copy of the original, with much more complicated engine, less appealing for editing. Did you know that A link to the past is also available on Wii. So why don't we edit the Wii version? Maybe we should change the subname of the forum: Your primary SNES A link to the past hacking resource. Of course we are also prepared to accept topics, that try to modify other Zelda games, and Alttp-GBA-version is such a game. Since the engine is completely changed, this is a different game (but because it looks the same and even has the same name, it can confuse lots of people). But don't be confused: the GBA version is a different game (that needs its subforum or subtopic). I hope this is clear now. We edit something for SNES, and the GBA version is for a different console. Or in other words: completely incompatible. It even goes further: the SNES EU version of Alttp is coded in a different way, than the SNES US version. So that's what we are editing: the SNES US version. Everything else is not compatible. So: if we are talking about Alttp modding, and you bring up the GBA version, you are unfortunately completely off course (unless you want to study a completely different game). Well, you made your intentions and your opinion clear in your first post, no need for stating it twice. I perfectly know they both use different engines. But there's a tiny detail.. Both the SNES and GBA versions are named "A Link to the Past". You think they are two different games, and that "A Link to the Past" refers only to the SNES version. I said something, an idea of mine. You further clarified your intent (including how mentioning Alttp GBA is a taboo), which I would have no way to know if not for your reply so thanks a lot I guess. I fail to understand why you felt the need of repeating yourself. Did I spam rude replies or mock people or something? And it's not like there's no one who worked on a GBA port of a SNES game (Final Fantasy 6 GBA, which was hacked extensively, comes to mind). Thus it's not exactly an illegitimate personal path of thought or some sort of blasphemous act, and I think I'm sober enough, thank you very much. Good luck on your endeavours on the SNES Alttp version. No, the US SNES Alttp version (since the other SNES regional versions got completely reprogrammed when no one was looking). Apologies for posting off-topic here about an Alttp port. What was I thinking? Thanks a lot for your moral lesson, I could have slipped to the dark side and *gasp* talked about BS-X Zelda Ancient Stone Tablets. Final Fantasy 3 and Final Fantasy 3 have the same name. It's understandable though why they would be confused. They are almost identical, they use the same 1990 look, engine, music, sprites*cough*, glitches, typos in the English *cough**cough* text. Thanks a lot for the valuable intervention though, much appreciated (this is not sarcasm). Don't worry about it. Not everyone here has to be technically inclined. This is also a consumption site, not just a creative one. It's ok if you're not keen on the technical details of how games work. You're still welcome to browse and help on the non-technical side of projects. There is a difference between porting features, and proposing we use the GBA version as the base ROM for hacks of LttP. Can we hack in the feature, where, if you beat the game without dying, saving, or quitting, when you reset and start a new game you end up OOB "in" the sanctuary as the bunny?